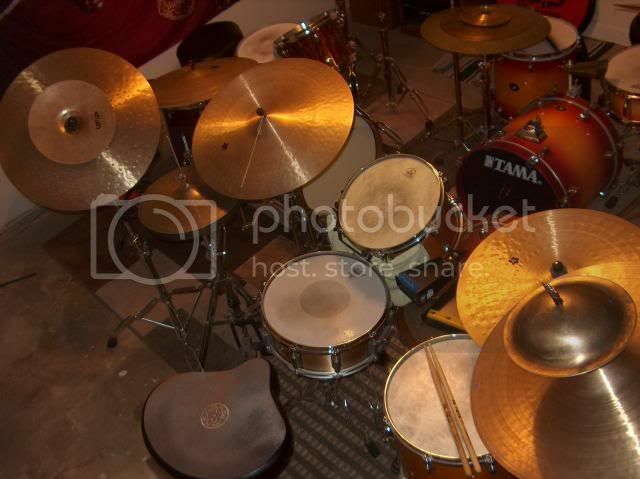 Alright....here's another topic started to get our "missing cymbalholic.com fix" !. This is the only recent pic that I have saved of a birds eye view of mine. 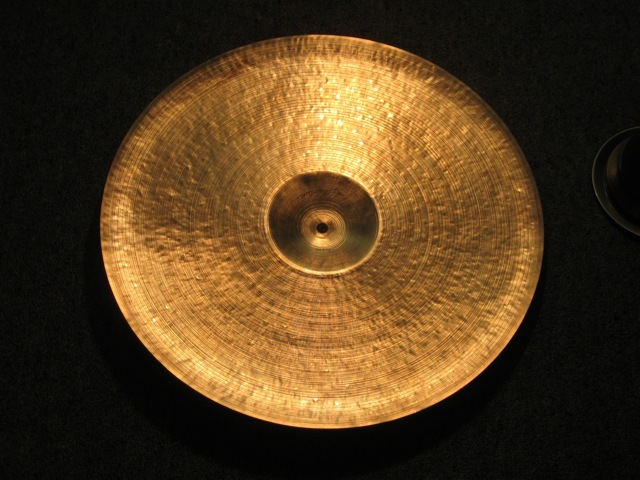 Cymbals are 50's small stamp avedis hats 660/700 grams, 50's avedis 1 7/8" stamp (heavy top and bottom hammering) 20" on the left side at 1636 grams, super thin edges, 16 rivets holes. 50's 24" roxy made in west Germany 2788 grams with 4 rivet holes on the right. This is a mean combination!! Drums are mid 60's Ludwig 20/12 clubdate combos with matching jazzfest in black lacquer. These are older ones of mine, but birdseye none-the-less at the time. 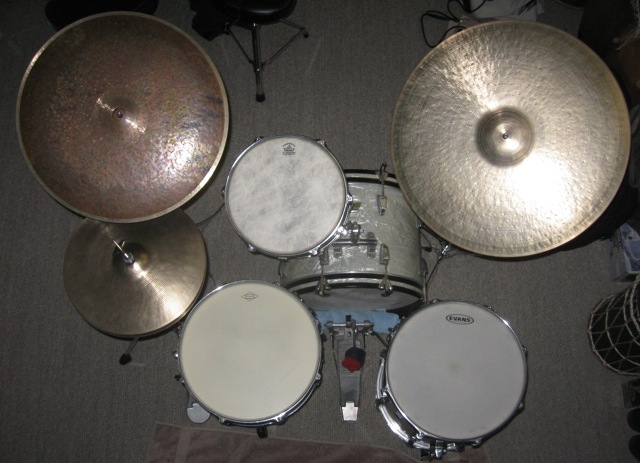 My kit is a Sonor Bop with a 14 x 5 Black Beauty. 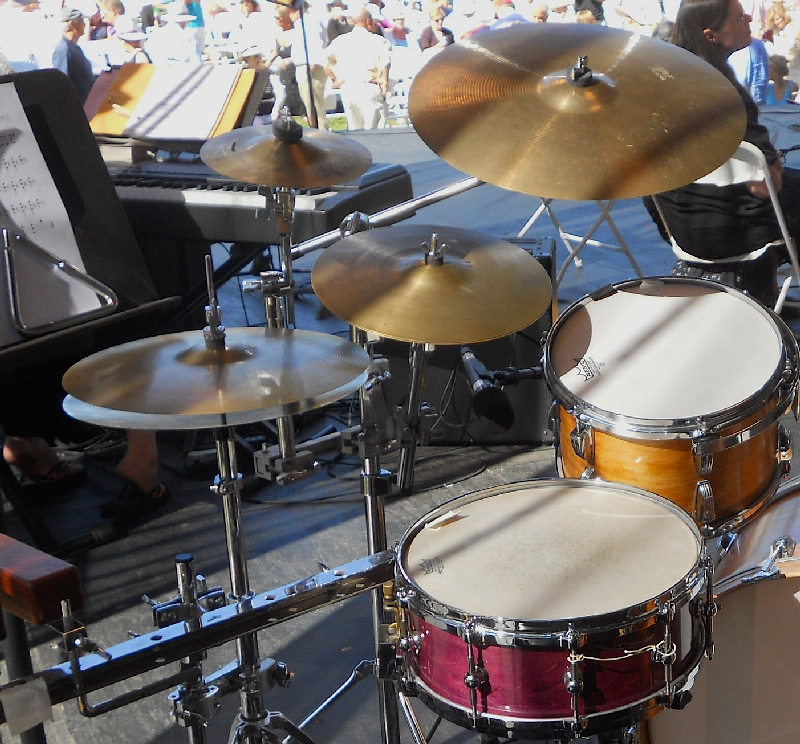 Did a couple of gigs this summer with my old instrumental trio. 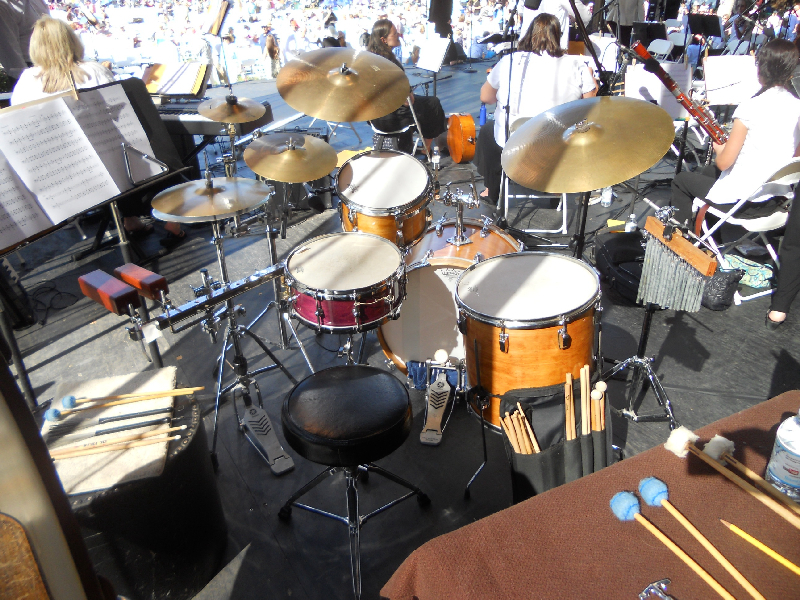 Birds eye view, Masterworks Jazz Master thin crash ride 20", 16" Sabian HHX-treme crash (or X-plosion...? 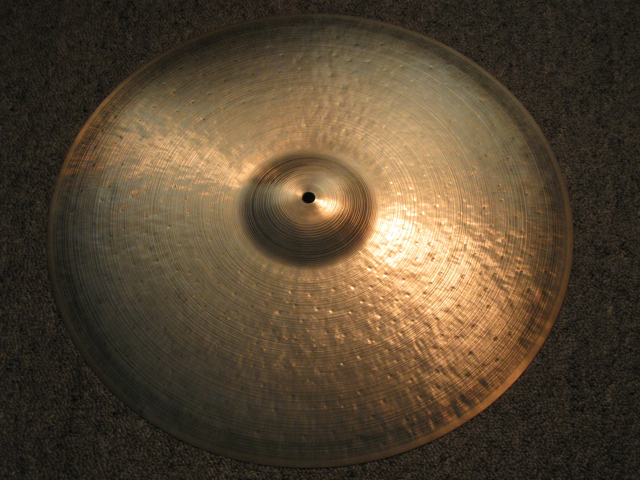 thin, china sounding), 16" Sabian AA extra thin crash and early 70's New Beat 14" hats. Here's some that I've posted previously can read the models on most except the ones with faded logos in the first picture. Birds flying low over that OH Kontro 22"
19 UFIP Class crash (1450 grams) with a LP Made in Italy 8" Ice bell on top. haven't had these drums out in awhile. I adore this G hot rod set. dug out a few different ones this week, all avedis. 14" ZILDJIAN K DARK CRASH THIN BRILLIANT 80s LONG TONE CRASH! BEAUTY! 22" SOUND CREATION NEW DIMENSIONS DARK MEDIUM RIDE! DARK CHOCOLATE MY GIRL! 20" A CUSTOM FLAT RIDE DRILLED FOR 2 RIVETS IN STEREO! TANG THE HUMP! K.O. (Kevin) owns the sister cymbal to that 22" Hammerax Liquicy Ride. Last year, I found a seller who had two 22" Liquicy's, but she would only sell them together (????). So I bought them both and had to turn around and sell one, but our own K.O. got it, so it's in a good home.